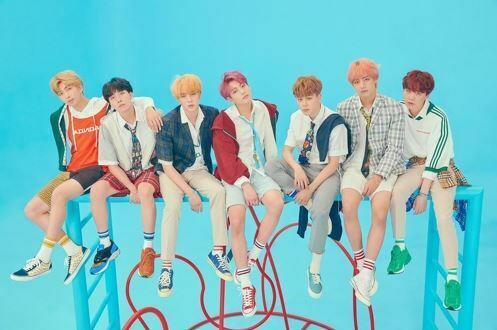 South Korean President Moon Jae-in and world-famous K-pop band BTS were nominated for TIME magazine's annual list of the 100 Most Influential People in the World, a list showed Friday. Moon and BTS were two South Korean candidates competing for the annual list, with which the TIME editors recognize the most innovative and best-performing artists, leaders, scientists, activists and entrepreneurs, according to the TIME list of candidates released earlier this week. With 4-percent support, BTS was leading a reader poll for the list which TIME is conducting. After closing the poll on April 16, TIME will make public its final decisions two days later. North Korean leader Kim Jong-un and United States President Donald Trump, as well as Chinese President Xi Jinping and Japanese Prime Minister Shinzo Abe, are also candidates for the list. Other contenders are athletes, like Serena Williams, and politicians, like Venezuela's opposition leader Juan Guaido.